Bigger size of Ceramic PCB is Available Now! Good news! This month we have used a new machine which can print much bigger size of silver palladium, Gold palladium, and glass glaze on Thick Film Ceramic PCB. Currently the normal dimension in thick film Ceramic PCB is about 80 x 138mm and that size has already limited a lot of designs. You can’t put too much trace, PAD on such smaller size board, and the you have to use 2 layer, or 4 layers ceramic board to put more trace. And of course, that will increase a lot of cost definitely! 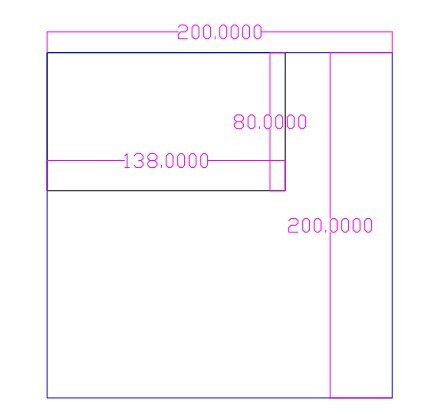 Now, we can make 200 x 200mm (8×8 inch). Thinking about the normal 80x138mm and you will find out this is an extreme improving! See bellowing pictures show the comparing! So now you don’t need to worry about the size! You can design as big as you want! And we are also continuing to adopt first-of-art machine and technology to make bigger size, higher quality Ceramic PCB! Please contact us if you have more good idea, or suggestion about Ceramic PCB. You are currently browsing the PCB & MCPCB - Best Technology blog archives for December, 2014.